My local comic book store, Carol and John's Comic Book Shop has an amazing Holiday party every year. During the party, there is an art auction to rise money for the Cleveland Food Bank. Each artist who participates gets a blank comic book cover to render however they want to, and last December, the theme was "The Holidays." Wonder Woman being my favorite comic book character, I wanted to draw her, but I also wanted to depict her in an appropriate holiday setting for one of the most famous pagan comic book heroes. 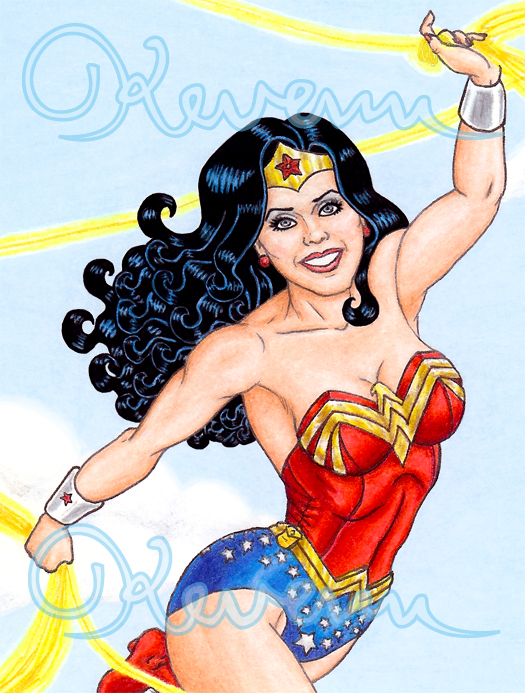 I did a "by hand" piece for a Wonder Woman "Solstice Special" comic book cover. I ended up getting a sizeable number of bids for my piece, which ultimately generated 272 meals at the Cleveland Food Bank! Incredible! When I posted this picture on my Facebook wall, it got a lot of positive reaction, and people asked about prints being available. Because I did this piece for charity, I did want to keep something unique for the person who won this piece. I decided to do a digitally colored version that I call "Pagan Amazon Princess," which is more "year round" than "seasonal specific." If you like it and are interested in t-shirts, prints, or all of the other sorts of items that I usually offer my illustration on, use the "Contact Me" for on the upper left of this website. 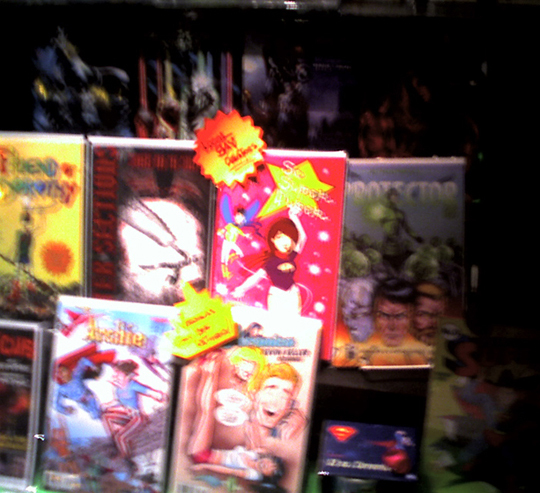 I had an amazing time at WonderCon! I got to meet so many people who were more than nice and see some great talent there. I'd say it was an absolute success. Thanks to all who came by the booth and supported us. I made 3 artcards right before WonderCon, and one of them sold, and I wanted to spotlight them here. 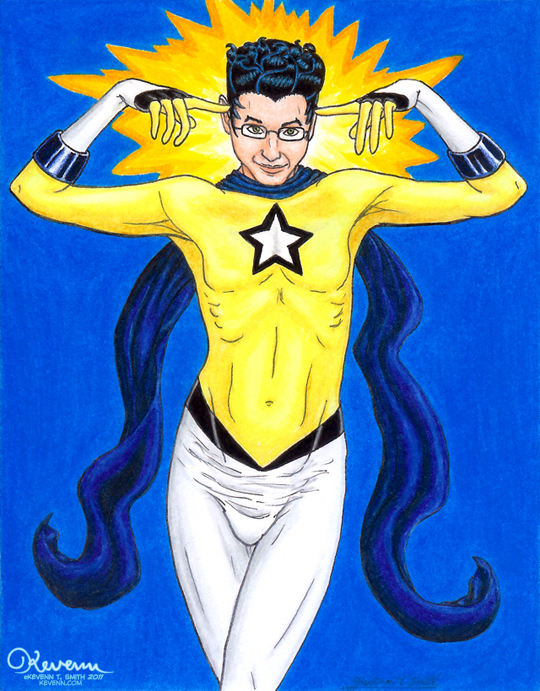 First up is Psyche from Brian Andersen's So Super Duper. This image is now available as cards, prints and Posters at RedBubble.com! 4.25 x 5.5 inches cardstock. 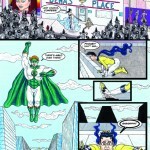 Issue #11 of Brian Andersen’s So Super Duper is on sale at the shop at Prism Comics.com and Indy Planet.com!!! 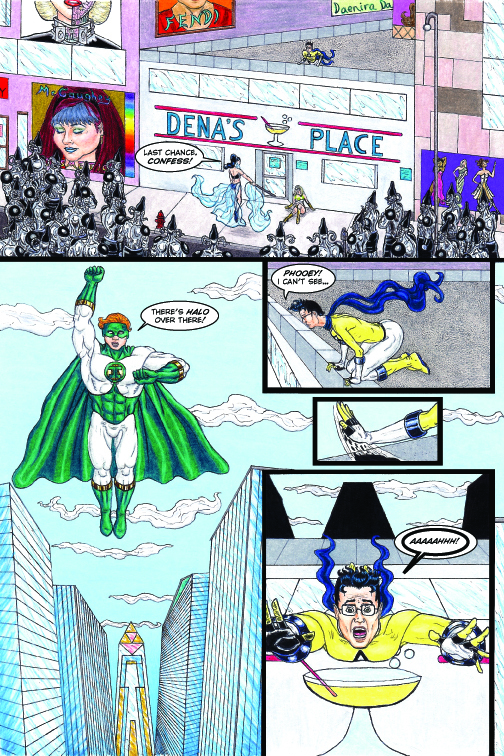 The 10 page back-up story that I wrote and created the artwork for is lettered by Ray Caspio (who also has a pin-up illustration in this issue!). Just click on the preview thumbnail images below to enlarge them. 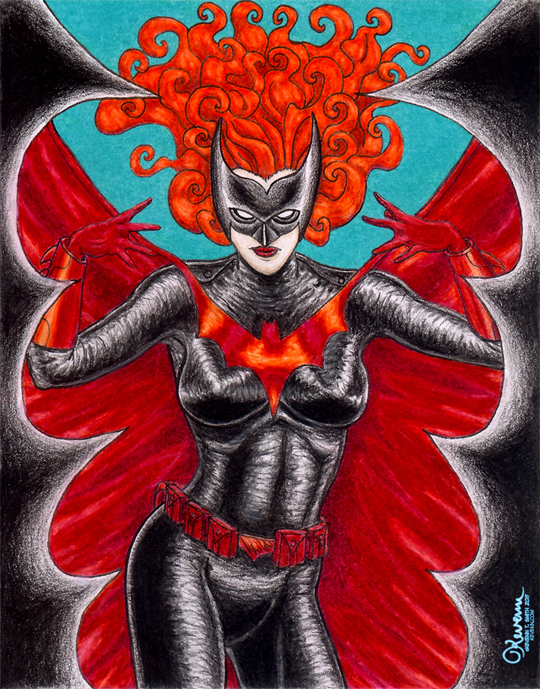 Another artcard I did was of DC Comic's Batwoman. For this artcard, I wanted to capture some of the "feel" of J.H. Williams III's art in the Batwoman stories that he illustrates. This image is now available as prints. Please use the "Contact Me" form at the top-left of this page to request one and inquire further about pricing and sizes. The third card that I made before WonderCon was of one of my favorites, She-Ra. I also couldn't resist the chance to illustrate the Whispering Woods backgrounds from the She-Ra cartoon again. Pencil, ink, Prismacolor pencil, Prismacolor marker. UPDATE: Brian Andersen wrote about his own experience at WonderCon and mentioned me in the write-up over at Comicbook Queers.com. Take a look! 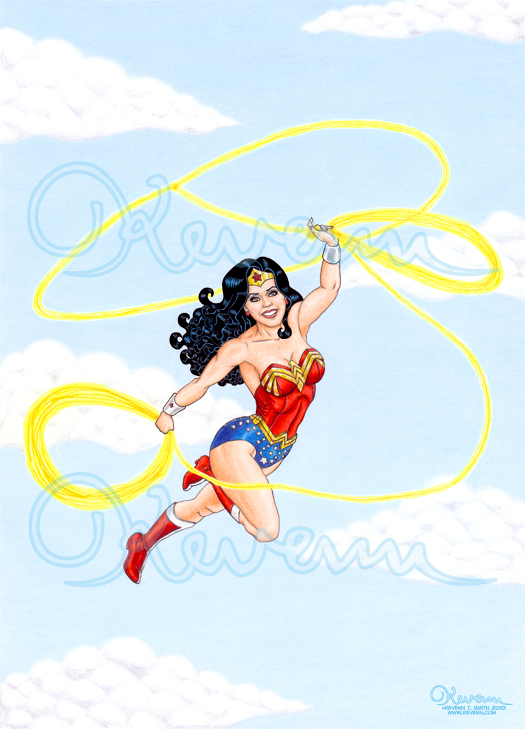 This is a new illustration of Wonder Woman that I've done that I call "The Lasso Is Mightier..." I'm one of those people that thinks Wonder Woman is so much cooler because the only things she really needs in order to get the job done is her lasso, bracelets, tiara, and powers. 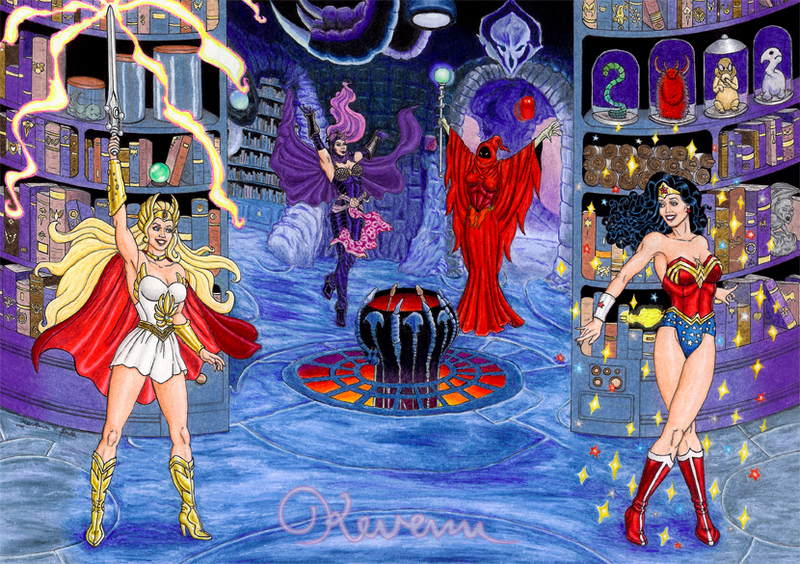 All the other stuff like swords, spears, axes, and armor - they're cool for someone like Xena or Red Sonya, but what makes Wonder Woman so wondrous is that she can take on armies, monsters, villains, and gods with just a few tools. Yes, she's THAT good! Pencil, ink, Prismacolor color pencil, Photoshop.